When you’re planning your wedding, you want every detail to be perfect for your special day. You’ve taken great care with the ceremony, the flowers, and the food. You’ll want to use the same level of discernment with the person you choose to provide the music and the sound equipment for your reception. It’s common for well-meaning friends with a laptop and a portable PA system to offer to DJ your wedding. More than any other service, people seem to think that DJing is something an amateur can handle. But this is your wedding, not a house party. Do you want to trust just anyone with the essential tasks of curating the song lists, ensuring their equipment functions properly and is sized for your venue, keeping everything on schedule, and emceeing special moments like your first dance or the best man’s toast? 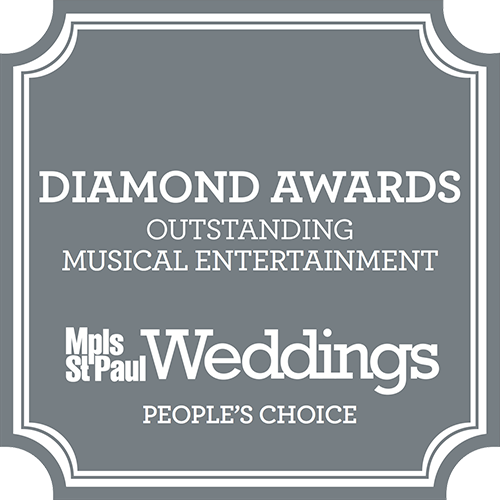 Adagio DJay Entertainment has been helping make wedding dreams come true for 27 years and has the honor of being named among the best for DJing and dance instruction by Minnesota Bride magazine for the last 12 years in a row. Here are some tips for your wedding planning timeline and how to choose your wedding DJ. When Should I Hire a Wedding DJ? Most wedding planning timelines recommend you nail down your reception music six or seven months prior to your wedding date. Bands and DJs book out as much as a year in advance. 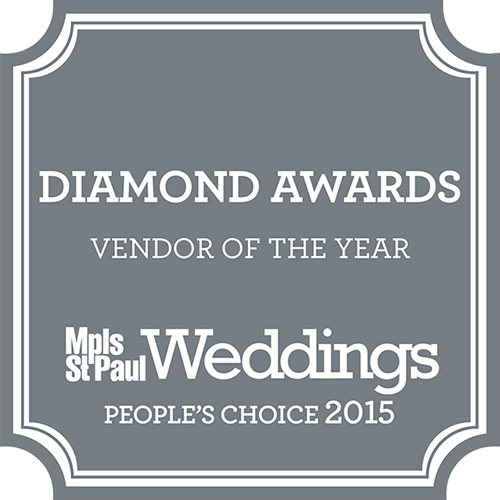 If you wait until too close to your big day, you may have to settle for a vendor that isn’t your first choice. Top-rated DJs and bands fill their calendars first, as couples want to ensure they have experienced pros at their reception. Choosing your wedding DJ is an important decision. The right DJ will keep the party going well into the night, while a DJ who can’t read the room will dampen spirits and send people for their coats. Your DJ needs to understand the composition of your guest list, your wedding’s theme and your personal musical tastes–and use that knowledge to craft a playlist that will feel like it’s perfect for you. This is a great question to ask and an important one to keep in mind when looking for a DJ. Will the DJ be available to meet with you beforehand? Do they double book their time slots? You will want a DJ that is not going to run off in the middle of the last set because he has another party booked. How long will they be available to you on the day of your event? For instance, if your party is rockin’ and your venue allows, will your wedding DJ add the extra time the night of your event? All of these questions can help you make an informed decision. You’ll need to be certain that your company can cover liability in the unlikely case that something happens. Most venues require that all of your vendors have liability insurance as well. What do past clients say about you? A reputable wedding DJ service will be happy to provide a list of testimonials from satisfied clients, check out their social media, website, and, if possible, referrals from friends and family to get a more personal sense of how the DJ did at their event. What is your illness and cancellation policy? If you’re going with a single proprietor for your DJ services, what will you do if they get sick or injured just before your big day? What measures do they have in place to cover your event, and will their replacement be as good as the person you hired? Hiring a DJ company that has a bank of vetted and talented wedding DJs will help give you peace of mind should something happen. Have you played our venue or similar before? A veteran of your venue will help avoid unexpected glitches and surprises. If they haven’t played your venue, ask if they have played similar venues before. The acoustics in a church are very different then a barn and both are very different to an event hall, knowing the quirks of a site and having a plan for set-up will help relieve stress and potential issues at the event. Many DJs have a minimum number of hours and an expected maximum but who’s to say that’s right for you? Every wedding ceremony and every couple is different, and your DJ should be accommodating to that. Finding a DJ that has flexibility in their booking times is crucial. After all, you may only want a few hours, or you may want your DJ to handle everything from Master of Ceremony to the all-night dance party. Ask your DJ what services that offer and if they lock you into certain packages or if they allow for flexibility. Also ask how many breaks they typically take, and what their plans are during those breaks. Be sure to account for these breaks in your reception schedule. Oh, and make sure to count the musicians in your food totals! They need to keep their energy up to keep your party going! Can you act as the Master of Ceremony? Some wedding DJs offer this as a service and have experience doing it. Not every DJ who spins great tracks has the voice, presence, or dignity to be given the microphone to do such critical tasks as introducing the new couple, announcing the first dance, or previewing the toast. Ask if this is something they offer. If not, you’ll need to plan for who will do this function at your reception. If they do offer this service, consider that when you are reading reviews and testimonials. You’ll want to be sure that your wedding DJ vendor has all of the equipment, lights, and systems to accommodate the size of your crowd and venue. A small amplification system’s sound will be swallowed up by 200 guests in a barn. Also, ask about backup equipment in case of a failure on-site. If a cable picks your wedding as the moment to short out, will your DJ have fail-safes in place so the party can continue? You want that answer to be a definitive yes. The professionals at Adagio Djay Entertainment are ready to help you with this all-important decision. If you’re at the point in your wedding planning timeline when you need to decide about music for your reception, contact us for a free consultation. We would love to be a part of your special day and make it as perfect as you are for each other.